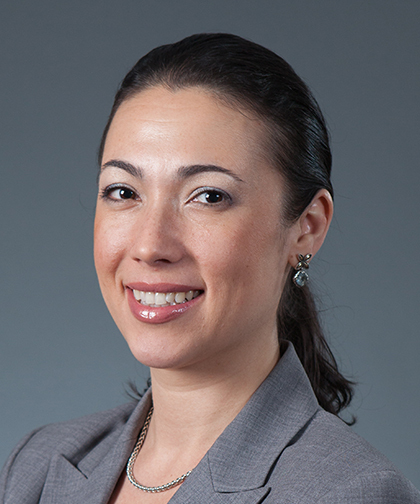 Inna Novak, MD, is Director of Clinical Operations in the Division of Pediatric Gastroenterology, Hepatology, and Nutrition at Children’s Hospital at Montefiore (CHAM), and an Assistant Professor of Pediatrics at Albert Einstein College of Medicine. Dr. Novak has a particular interest in the use of minimally invasive endoscopic procedures, specifically endoscopic ultrasound, to treat children with pancreaticobiliary and intestinal disorders. Her other clinical interests include inflammatory bowel disease, eosinophilic disease, percutaneous endoscopic gastrostomy, endoscopic dilatations, achalasia, and polyposis syndromes. Dr. Novak earned her Bachelor of Science from Cornell University in 1997, followed by her Doctor of Medicine from New York Medical College in 2002. Dr. Novak completed a residency in Pediatrics at Schneider Children’s Hospital in 2005 and a postdoctoral fellowship in Pediatric Gastroenterology at Children’s Hospital at Montefiore in 2009. Dr. Novak’s interest in endoscopic procedures extends to her research in therapeutic endoscopy and the use of endoscopic ultrasound in children. Her studies also include an evaluation of the use of lumen-opposing stents for draining intra-abdominal collections in children, as well as methods to improve residents’ education on tube feeding. Dr. Novak’s work has been published in numerous peer-reviewed journals and presented at national conferences. In 2017, Dr. Novak was listed in New York Super Doctors, a directory from MSP Communications that identifies healthcare providers who have achieved a high level of professional achievement and recognition from peers. She is board certified by the American Board of Pediatrics in Pediatric Gastroenterology and is a member of the Endoscopy and Procedures Committee for the North American Society for Pediatric Gastroenterology, Hepatology and Nutrition (NASPGHAN).